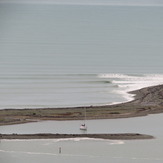 Detailed Nelson Tasman Bay surf forecast maps and the latest eyeball surf report from local surfers in the region. Near-shore swell is shown on the map together with the surf forecast rating for spots in Nelson Tasman Bay. Find the best places to surf in offshore conditions by selecting the wind option on the forecast map. Windsurfers and kite surfers can also use this option to find more favorable cross-shore conditions in Nelson Tasman Bay. Our local Wavefinder indicates where some of the best conditions are likely to be found in Nelson Tasman Bay over the next 7 days. Surf photos from Nelson Tasman Bay and reviews of the best spots and surfing conditions have been provided by local surfers. All map types that you can enable here: Nelson Tasman Bay Colour Base Map, Wave Height, Wave Energy, Nelson Tasman Bay Swell 1 Energy, Swell 2 Energy, Windwave Energy, Nelson Tasman Bay Precipitation, Wind, Temperature, Nelson Tasman Bay Cloud Cover. Map overlays available for display: Nelson Tasman Bay Pressure, Wind. Symbols shown on the map: Nelson Tasman Bay Surf Breaks, Tide Forecasts, Cities, Nelson Tasman Bay Ski Resorts, Live Wave Buoys, Live Webcams, Nelson Tasman Bay Wind Now, Temperature Now, Weather Now, Nelson Tasman Bay Swell at breaks, Rating at breaks. Nelson Tasman Bay Surf Forecast map for predicting the best wave and wind conditions across the region. For surfers, the map shows the most powerful swell tracking across near-shore open water and not the peak waves experienced by boats out at sea. Move your mouse over the ocean swell symbols or the surf breaks on the coastline to see a more detailed surf forecast including wave period and wind conditions. The forecast updates every 6 hours and most live weather reports update every hour. You can animate the Nelson Tasman Bay Surf map or show live wind and wave conditions as reported from wavebuoys and local weather stations. Surf breaks shown along the Nelson Tasman Bay coastline are also listed below. Nelson is about the last place that comes to mind when New Zealanders think of surfing. With a very narrow NW swell window into the Tasman Sea, surf is inconsistent at best but when it is good it can be really excellent and as a result there is a strong local surfing community. I've lived in the area for several years and it seems to me that you get periods of several weeks when swells are pretty consistent, separated by periods of several months when it is almost always flat and in summer you can often go more than a month between surfable swells. Time to head to Kakoura or the West Coast; both about 3 hours away. Most of the swell is local or fairly local wind swell that only sticks around for a day to a few days after a strong NW blow, but in late summer and autumn you occasionally get a solid cyclone swell. Several of the better waves are quite hard to get to. In its favour the water here is generally a lot warmer than at Kaikoura and it is arguably the sunniest area in the country. My description of the region begins at Whangamoa in the extreme east of the region and the first spot you would reach if travelling to Nelson from Picton. This very remote beach picks up more swell than any other commonly surfed breaks in this region. It's a real mission to get here involving a long gravel road and a steep climb down a bushy slope and for several years the road was closed for logging operations. If you make the effort, more often than not you will have the beach to yourself. A variable rivermouth break than can be excellent is the reward. As a NW swell fades, you can sometimes get a good wave here for a day or two after it has become too small at the breaks closer to Nelson. Now and again a big west swell can get around the top of Farewell Spit and deliver a small wave here when the other beaches are totally flat. I once had it overhead and heavy here when Schnappers wasn't even waist high on the third day after the NW swell had peaked. A stunningly scenic spot too. An even more obscure wave called Magnets is nearby and Google Earth shows a few more possibilities out towards Okiwi Bay and Durville Island that should be more exposed to west swells. Heading west towards Nelson, Delaware Bay is another remote and stunning beach. Access is not quite so difficult as Whangamoa but you do have to cross a vast tidal inlet. At low tide that means a long walk and a few paddles across a swift river but if you try and do it when the inlet is flooded around high tide it turns into one huge paddle. Delaware Bay itself has reasonable waves all along it but surfers make the effort for the wave at the western end at Delaware Bay Point or Delaware Bay bar. It's a bit sheltered from the NW swell by Peppin Island but anything breaking here will be much punchier than at the beach. All the waves break left and if the wind is light or offshore, makeable tubes unload onto a very shallow gravel bar with hard landings an inevitability and no small risk of getting badly hurt. It sometimes pays to sit wider and pick off the bigger sets that peel into the beach. These sometimes line up to provide long rides and are way more forgiving. Next west is Cable Bay. More sheltered again, but on its day an excellent fast left hand point-break over a shallow rocky bottom with occasional obstacles. You need at least 2.5m of open water NW swell to get in here, ideally closer to 4m. As a result it works less often than any other Nelson wave, and since none of them are very consistent, you would be lucky to catch it working unless you live locally. Most of the days when the swell is big enough are screaming onshore too and getting a NW swell that is big enough and winds that are favourable has proved impossible for me so far but I can see plenty of evidence that it can work beautifully. At the top of the boulder bank, there is easy access at The Glen to a bouldery beach break and various right points. These tend to be heavy and tough to make so is not surfed very often but it is a useful spot for checking the swell before heading to any of the next breaks south. 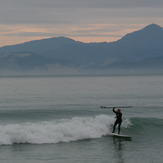 Several kms along the boulder bank, without doubt Schnappers Point is the most popular Nelson wave. It's quite close to town and you can park just 200 metres from the surf which means you sometimes find a bigger crowd out than the wave can handle. On a busy weekend day there can be 25 people or more in the water and there really is only one or two take-offs. You have to earn your waves when but in general expect a chilled and friendly vibe. Don't let the drive out to the Nelson Boulder bank past the sewage ponds put you off. I am unaware of any pollution issues besides a sulphurous smell that everyone kind of likes because it means the wind has gone offshore. If you can see surfable waves where you first view the sea turn right and keep going because Schnappers Point is going to be better. Parking is obvious but on good days it can get filled so don't block the turning area. 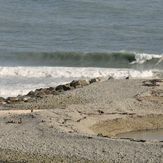 It's a low to mid tide break over boulders, primarily a right with the lefts closing out more often than not unless it is small. An easy wave at waist to shoulder high, it gets increasingly threatening as it gets overhead and big close-out sets on cold winter days are no fun at all and neither is getting worked on the inside. Reef boots are a good idea at any time of year because getting out means walking over a mix of boulders and urchins. Solid swell and light or offshore winds here will challenge any ideas you may have had about Nelson being 200km from decent surf. You can't drive further south along the boulder bank because it's a nature reserve. That means that the next wave "Lighthouse", an excellent long right point, and The Cut-Nelson Harbour very tricky to get to. Best paddle the wide laggon in a canoe or take a small boat because otherwise you will have arms like before you even get to see the surf. Both waves are very worthwhile. You can see if the Cut is working from The Rocks part of Nelson city, or get a better view from the top of the hill. You really don't want to make the effort unless it is working. To the west of Nelson, waves get smaller because the headlands of Abel Tasman block more of the swell window and the shallow water on that side of Tasman Bay saps the wave energy. The first break is on the huge expanse of Tahunanui beach. Great for learning and often excellent for kite surfing and windsurfing, the best of the surf is at high tide. When the swell is any size "outside" is a very long way offshore but a series of reforms can good, especially on a mal or SUP. The higher the tide, the more energy makes it to the shorebreak, the better. Rabbit Island next west is also best at high tide but is another softish beginners wave. The last spot west is Ruby Bay. The waves here are generally about half the size of Schnappers Point but when Ruby Bay is on it is very worthwhile. Easy access too. Park at the end of the campsite off the coastal highway and you are right at the point. Lots of water moving means that is sometimes worth walking west 50m and paddling out there instead. By the time you are outside, the current will have carried you to about the right spot. Extremely long lefts peel into the bay and reform as they go taking you hundreds of metres up the point alongside the camp-ground. It's generally worth walking back to the point after a long ride. More often than not, this is for longboards and SUP. For shortboards, it needs to be quite big before it gets steep. I have only had Ruby Bay overhead two or three times but each time there was some wind on it making it a bit ragged and an exhausting paddle out because the first break was hundreds of metres offshore. Even so, at overhead it was reasonably steep and find on a shortboard. No doubt a lined up cyclone swell and a light/offshore wind could lead to very high quality conditions. In theory, about once every 3 years. Golden Bay only picks up wind swell. Northerly gales are frequent here, especially in spring. With 50km of fetch, these whip up surfable shoulder-high chop at Tata Beach. Lake surfing. The easterly fetch between Kapiti and Golden Bay is much bigger but strong winds from that direction are rare; requiring a deep low over North Island. If that happens proper swells develop over the 200km fetch and these have been surfed at Para Para Rivermouth and boulder points down the coast to about Tukurua. Elsewhere the beach profile is too flat. Novelty longboard waves really. For proper surf keep going to the Tasman Sea breaks. They have the opposite problem of too much swell.